This type of rod works in that it bends over the length of the rod in a consistent arch. What happens is that the rod is suppler and thereby, is able to give more. 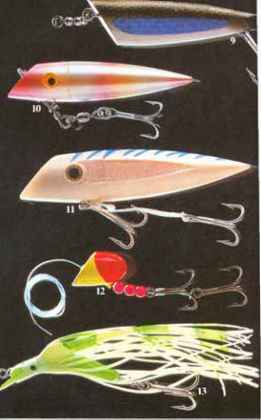 You will discover that with the slow action, the hook also sets slower. Initially, as the trout bites, the hook will not set deep. However, as the trout starts to fight against the line, the hook sets deeper. The nice thing about the slow action is that because the hook does not set as deep as with faction action, the trout's mouth does not tear as much. This slow action also means that you enjoy greater accuracy and further casting ability because of the giving nature of the rod. Most anglers enjoy the slow action simply because it works with the anger so there is less fatigue. By being able to cast further and with less effort, the day is more enjoyable and the catch potentially greater.